Byron Bay is one of my favourite destinations in Australia – if not the world! I’ve been drawn back here time and time again since I first visited in 2009 – so I thought it was about time I put together My Ultimate Backpackers Guide To Byron Bay! Even though it’s changed a lot of the years it still has the awesome vibes I fell in love with on my first visit and it’s still one of the best destinations on the East Coast of Australia. And since I’ve lived, worked and visited Byron heaps over the last few years it’s safe to say I know what I’m talking about when it comes to staying and playing in the Bay! 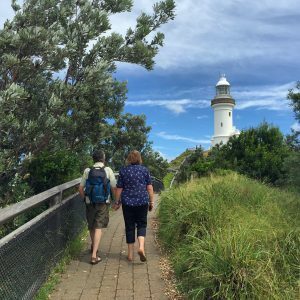 So here’s my backpackers guide to Byron Bay – with a little hint of local insider knowledge too! First off you’ll need to know how to get to Byron Bay! Incase you have no clue where it is, Byron sits on the northern coast of New South Wales and you can get here by bus, car, or even a flight! From Brisbane – Brisbane is about 166km north which is roughly a 2 hour drive depending on the traffic. If you’re in Brissie there are multiple departures to Byron throughout the day and it takes about 2-3 hours depending on the service. 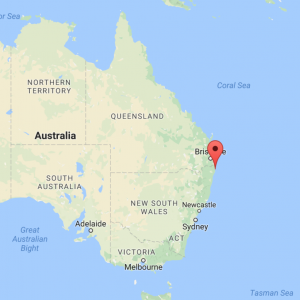 From Sydney – Sydney is 755km south of Byron Bay which equates to about 9 hours drive time. The easiest option from Sydney is the overnight Greyhound Bus or Premier Bus. Personally I recommend taking about 2-4 days if you’re driving and stop off en route at spots like Yamba. Flying – There are 3 options for flying to Byron Bay. The easiest is to fly into Ballina Airport which is about 15 mins from the town and then you can grab the Byron Easy Bus which is about $20AUD. There are multiple flights per day from Melbourne and Sydney – check out Jetstar for some awesome deals…as low as $50AUD! The next option is the Gold Coast Airport which is about 45 mins away and has a larger range of flights to choose from (check out Jetstar and Virgin Australia) and is usually the cheapest option. You can then jump on the Byron Easy Bus for $40AUD. The final flight option (and furthest away) is Brisbane Airport – which is about 2-3 hours away. Again the Byron Easy Bus can sort you out, but it’s a bit more pricey at $60. If you fly into Brisbane you can always break up your journey in Surfers Paradise or to Gold Coast en route if travelling on the Greyhound. Aquarius Backpackers – my personal favourite and one of my top hostels in the world. Only one block back from Main Beach plus if you stay there you get a free meal each night! 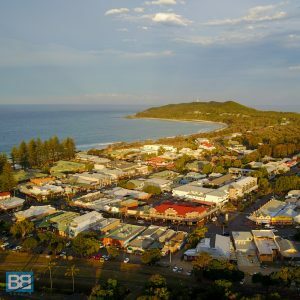 Nomads Byron Bay – one of biggest and most social hostels in the Bay! A solid option if you want to mingle and party in the centre of town. AQ – my top Byron hostel! The Arts Factory – world famous and as seen in the Inbetweeners 2 movie! Check out their tipi tents! Holiday Village – another solid, central accommodation option, right opposite Cheeky Monkeys for a short stumble home! Backpackers Inn – slightly out of town (5mins walk! ), but right on the beach and perfect for those wanting some cheaper accommodation. Byron Bay Beach Hostel – newly opened in 2017 so it’s shiny and new, right in the centre of town. Cape Byron Bay YHA – perfect for those looking for a quieter option, also has a pool! The cost of hostels in Byron Bay varies throughout the year. In low season (over Australian winter) they can drop as low as $16 a night for a dorm, but in peak season and key events (like xmas, new year, Bluesfest and Splendour) those same rooms can be as high as $50 per night! So if you’re heading that way make sure you check ahead to avoid getting stung – or worse still not being able to find a bed! There are also heaps of Air B N B stays in Byron Bay too – so if you want to treat yourself check them out. Also you can save $35 on your first Air B n B booking using by clicking here! When it comes to things to do in Byron Bay it’s all about the beach! This town is all about the barefoot vibes and beach living, so if you don’t like sand between your toes maybe this isn’t the place for you! 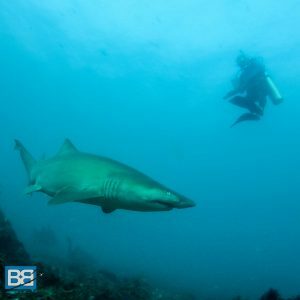 Scuba Diving & Snorkelling (from $99AUD) – head out to the famous Julian Rock Marine Park (voted among the top 10 dives sites in Australia) and snorkel with turtles, swim with manta rays and even meet some curious grey nurse sharks! I highly recommend the kayaking! Whale Watching ($89AUD) – if you’re in Byron Bay between June and November you’ll be lucky enough to catch the annual whale migration as these gentle giants move their way up the coast splashing and slapping! 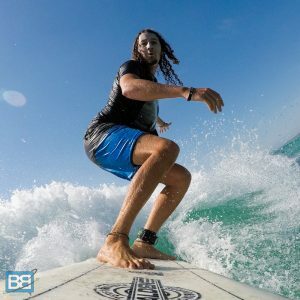 Learn To Surf ($69AUD) – Byron Bay has some world class waves but is also a great place to learn to surf! Join the guys from Mojo Surf or Stoked Surf School for a day in the water. Skydiving (from $214AUD) – enjoy up to 60 seconds of adrenaline fuelled free fall over the most Easterly Point of Australia mainland! Spectacular views and the ultimate rush! Horse Riding (from $75AUD) – enjoy a chilled horse ride along the stunning beaches of Byron Bay or amongst the woodland of the Byron Hinterlands. But Byron doesn’t have to be crazy expensive – there are some awesome free things to do in the Bay if you’re keeping an eye on your budget! It wouldn’t be the ultimate backpackers guide to Byron Bay without some freebies thrown in! 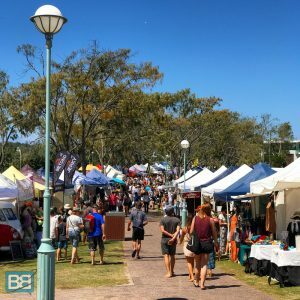 Byron Bay Markets – there are always heaps of markets going on in Byron Bay so have a wander and buy some trinkets. They also have an epic selection of street food stalls too! The first Sunday of each month hosts the biggest one. Check out the buskers – buskers fill the air with an array of music throughout the town and there are always some impromptu gigs to check out. The park overlooking the beach is one of my favourite spots to enjoy some tunes! Byron Markets are always worth checking out! Chill on the beach – kick back, top up your tan and soak up the sounds of the ocean on one of the many beaches around Byron. Just don’t forget plenty of sunscreen! Do the lighthouse walk – this awesome coastal walk takes about 2-3 hours but is well worth it! Stroll along Main Beach to The Pass and then follow the trail around to Wategos Beach. After a quick dip (and a rest!) head up to the most Easterly Point of mainland Australia before continuing up to the famous Byron Bay lighthouse. An amazing spot for sunrise or sunset and even better during the whale migration season! Sunset drum circle – grab a couple of cold beers and head to the car park at “The Wreck” for sunset and take in the vibes of the drum circle! Through your inhibitions to the wind and dance as the sun goes down! Always an awesome way to finish the day! Surfing is the main reason I love Byron Bay and it has some absolutely epic surf spots for all levels. Whether you’re learning to surf or are travelling the world trying to score some epic waves it has you covered! The Wreck – the iconic “Wreck” is just off the beach by the main car park on Byron beach front. It’s actually the remains of the rudder of a shipwreck but is now also one of the most popular surf spots in Byron Bay. On a solid day expect some epic left hand barrels. Belongil – away from the main beach Byron but still only a short walk past the Wreck is Belongil. This sandbar has been pretty awesome in the last few years and offers both steep faces and barrels at low tide, but also a beginners friendly inside section. 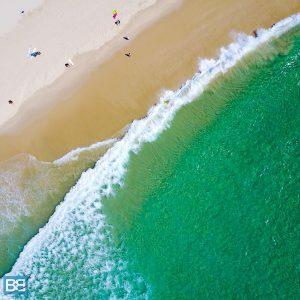 Main Beach – if you’re learning to surf this is one of the best spots to paddle out at with it’s sandy bottom and multiple peaks. That being said when a big swell rolls in Main Beach will fire off and keep even the most experienced surfer happy! 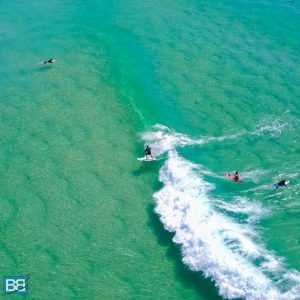 The Pass – the most famous spot in Byron Bay and a long boarders heaven! This reeling right hand, sand bottom point can offer some incredibly long rides. Unfortunately though it’s INCREDIBLY busy these days and you can often find a few hundred people in the water! Localism can be an issue on a big day, but the inside section is beginner friendly. Wategos – another great long boarder waves and suitable for beginners it’s slightly more sheltered and quiet than the main beaches of Byron and if you’re surfing here you’ll need a car to get there! Cosy Corner – on the other side of Byron tucked underneath the lighthouse is “Cosy Corner”. Technically part of Tallows Beach this spot is sheltered from the Northerly winds and usually the only decent spot during most of the winter period so expect some crowds. When the swell rolls in there are some big rips here so be careful! Tallows – for those who want big, hollow waves Tallows is a solid option, offering some of the biggest surf in the area. If you aren’t confident in the water avoid this one! With such a mixture of people from all over the world it’s no surprise that Byron Bay has a huge range of places to eat for all budgets and tastes! 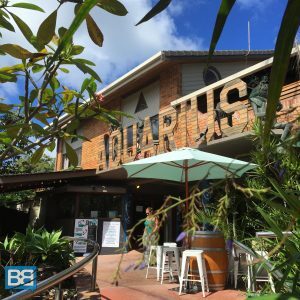 Since this is the backpackers guide to Byron Bay I thought I’d include my favourite cheap spots to eat with a few upmarket inclusions too incase you want to treat yourself! Heart and Halo – this veggie buffet joint is full of healthy food and do an epic $10 lunchtime deal. Perfect for a quick bite! Bayger – some of the best burgers in town and they do an awesome $10 meal deal each week on Tuesdays! Ozy Mex – the best Mexican takeaway in town and super filling! Orgasmic – tucked behind the Beach Hotel this place does some amazing falafel! The Beet – an amazing vegan retaurant right opposite Woolworths. It’s BYO too! Miss Margaritas – this Mexican near the beach is ALWAYS busy and does some awesome cocktails, like Mez Lounge this is for those that want to splurge, but they do have some awesome happy hour deals! Bombay to Byron – if you’re in the mood for Indian head here, they have an awesome $10 lunchtime meal deal for a curry, rice and naan bread! AQ & The Rocks – attached to Aquarius Hostel, The Rocks is my favourite spot for breakfast! Make sure you try their pea, zucchini and halloumi fritters! For the evening the hostel bar some some awesome food too. The 23 Hour Pie Shop – I’ve still yet to discover the hour of the day this bakery on the main high street is shut but it’s an absolute life saver when you have drunken munchies! Hole In The Wall – if you’re looking for a quick bite to eat this sandwich bar opposite the Balcony Bar is worth a visit. Their roasted pumpkin, feta and rocket sandwhich is a personal favourite…add a hash brown in for extra foodie goodness! But if you’re really looking to save money on your stay to Byron Bay head to Aldi and start cooking – all the hostels have kitchen facilities! Woodys – grab a lift in their VW campervan and enjoy some awesome drinks deals and sweaty nights dancing! Hit it up on Wednesday too for your chance to win a brand new surfboard! There are plenty of spots to party and meet fellow backpackers! Aquarius (aka AQ) – my personal favourite spot to begin the night, AQ has the cheapest drinks in town! If you’re not staying at the hostel you do need to buy food to drink there, but you can grab a portion of chips and a schooner of “Backpacker Blonde” for the same price as a beer in most of the bars! Make sure you try the Jungle Juice too – a mix of goon, bourbon and fruit juice…at $3.50 a glass it’s the cheapest way to start the night! The Rails – a favourite of the locals with some great live music each night. The outdoor area makes it one of the nicest spots to socialise with a beer! The Beach Hotel (aka the Beachy) – an epic spot for a Sunday Session the Beach Hotel has one of the best locations in Byron Bay. Keep an eye out for some awesome bands playing here but it won’t be the cheapest place to drink! Cheeky Monkeys – this is one of the most famous backpacker bars on the East Coast and is full of party chaos all week! 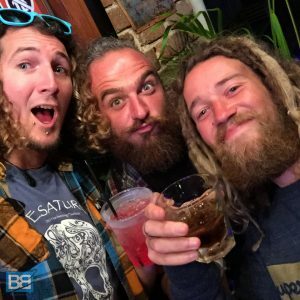 From their body paint parties to awesome drinks deals don’t leave Byron Bay without spending a night dancing on the tables here! La La Land – if you fancy some dancing after hitting the bar but don’t fancy Cheeky Monkeys then head to La La Land. It’s also a great late night venue after a Sunday session too. 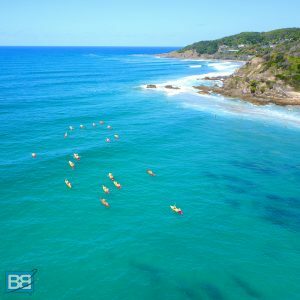 This wouldn’t be the ultimate backpackers guide to Byron Bay without a mini beach guide – since it’s where you’ll be spending most of your time!haha! They’re all awesome, but this will certainly help figure out where people are telling you to meet them! Main Beach – as the name suggest this is the main section of the beach, right in front of the surf club. Easy! 5 mins walk from town. Byron has some epic beaches! Hopefully my insider knowledge will help you make the most of your time in Byron Bay and I’m sure you’ll all enjoy it as much as I do – I’ve no doubt that you’ll want to extend your time in the Byron Bubble as long as you can! If you need any help planning your stay in the Bay hit me up up for some exclusive discounts so you can experience it for less! Have you been to the Bay? Anything you’d add to to my Backpackers Guide To Byron Bay? Travelling Around Australia – What’s The Best Way To Travel Australia?